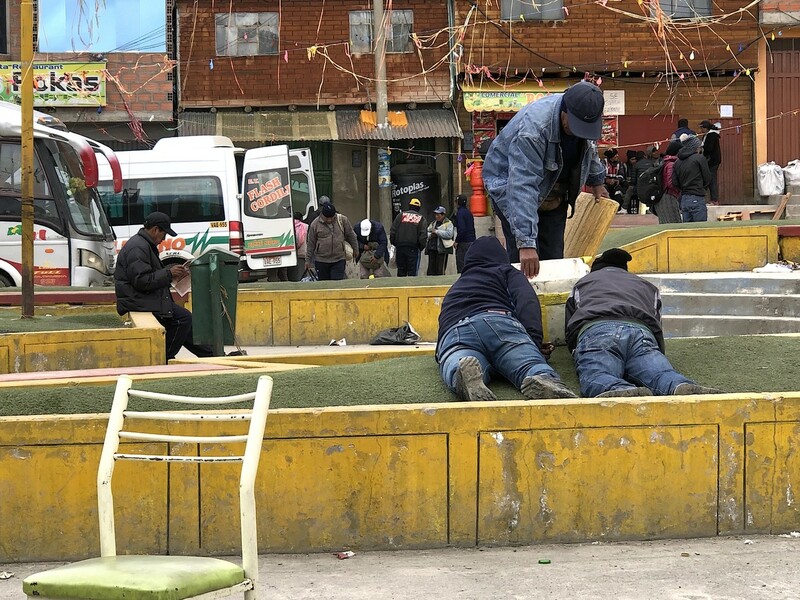 While the West attacks Venezuela, a country that improved the lives of many of its citizens, it overlooks horrors that are taking place in Peru and other ‘pro-market’ countries in Latin America. 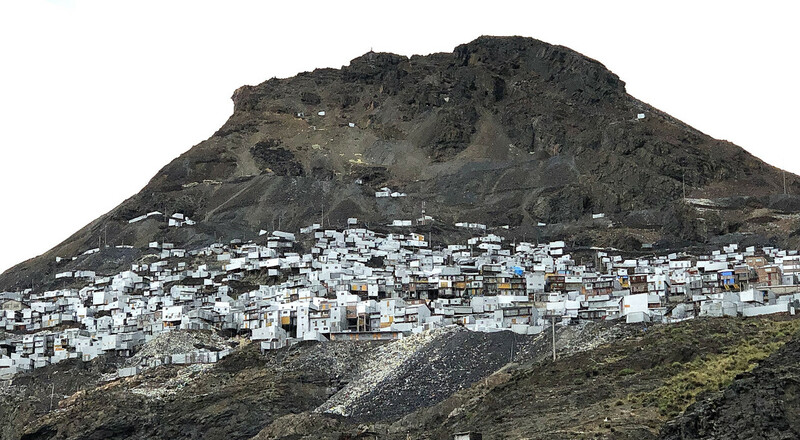 La Rinconada, which lies at over 5km above sea level, is the highest settlement in the world; a gold mining town, a concentration of misery, a community of about 50,000 inhabitants, many of whom have been poisoned by mercury. A place where countless women and children get regularly raped, where law and order collapsed quite some time ago, where young girls are sent to garbage dumps in order to ‘recycle’ terribly smelling waste, and where almost all the men work in beastly conditions, trying to save at least some money, but where most of them simply ruin their health, barely managing to stay alive. Just some five years ago we thought: This is how Latin America was never supposed to look like again. We thought so, before the extreme right-wing forces in Washington managed to regroup and deploy old dogmas of the Monroe Doctrine back to the frontlines, against Latin American independence and socialism. We leave the city of Puno in the morning, passing along the magnificent shores of Lake Titicaca, which with a surface elevation of 3,812 meters (12,506ft), is the highest navigable lake in the world, shared by Peru and Bolivia. 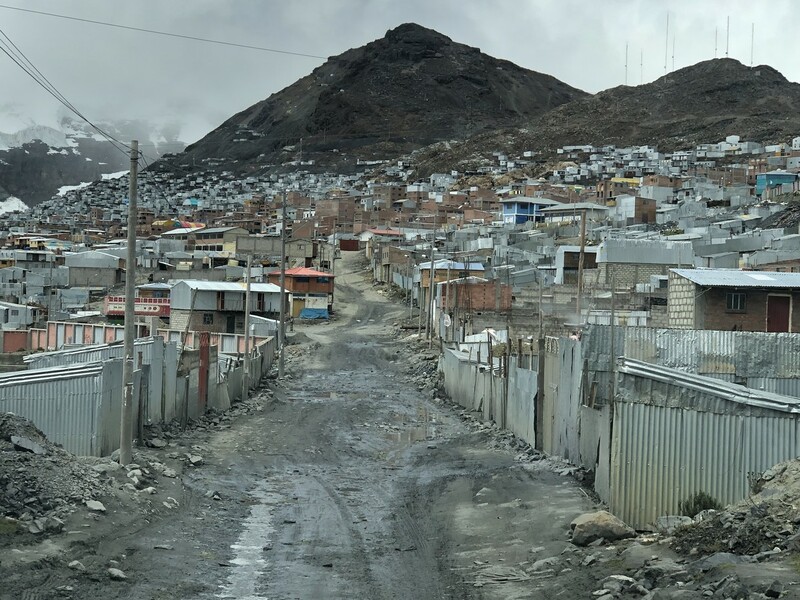 There is some sort of a motorway between Puno and Juliaca, a ‘center of commercial activity’ in the region; in fact, a huge, unkempt dusty city full of slums. 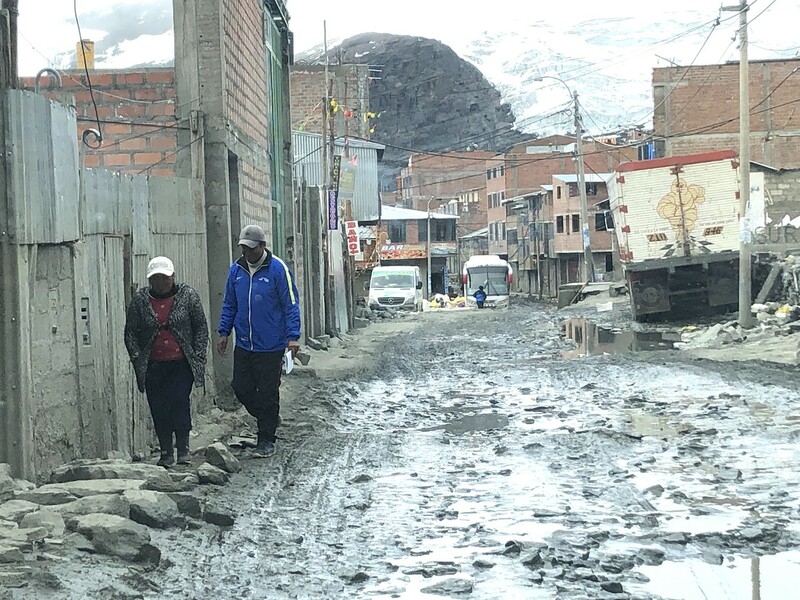 Right after Juliaca, it is just rural misery. I used to work in Peru during the so called ‘Dirty War’, fought between two Communist guerillas (the Maoist Shining Path and the Marxist, pro-Cuban MRTA) and the Peruvian state, which officially ended in 1992. 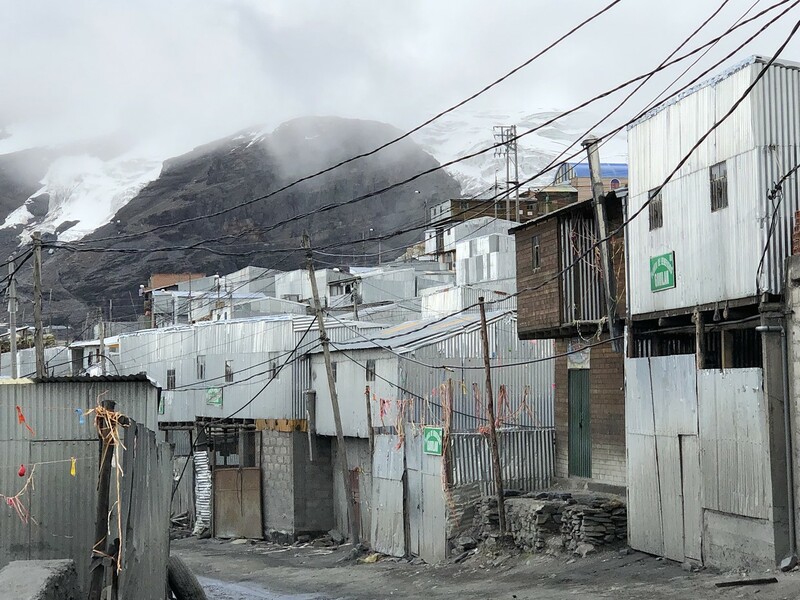 Since then, the rural misery of Peru has not changed: dwellings made of earth, the desperate faces of villagers, and almost no social services, have remained. Right across the border, in socialist Bolivia, life in the countryside improves dramatically, continuously. But not here; not in Peru. And so, tens of thousands of anxious men are ‘going up’, reaching tremendous heights, risking their lives and ruining their heath, for at least a tiny chance to find gold, and to escape the endemic misery. It is getting cold. Our car climbs up, grumpily, with badly damaged suspension, but going nevertheless. The higher we climb, the colder it gets. It rains, then it stops. 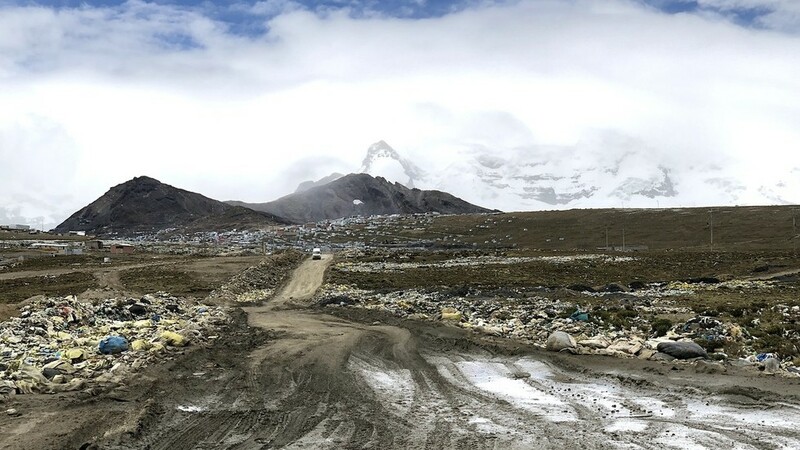 The views are magnificent, but the countryside is covered by garbage. The river is filthy. The llamas are eating garbage, cars are being washed in the rapids, and entire villages appear to be abandoned, turned into ghost towns. After more than four hours of driving, after insane, neck-breaking serpentines, the first mines appear on the horizon. Then more filth, primitive machinery, and a mining town – Ananea. She sounds old, maternal, compassionate, concerned. She has seen it all, it appears. We pay and drive up. Then, we see it: enormous lakes, yellowish, brownish, with streams coming from their surface. Long blue hoses. Everything is ruined and poisoned. Freddy says that there are some new technologies that could be used to extract gold, but the miners here use mercury, as it is cheaper. 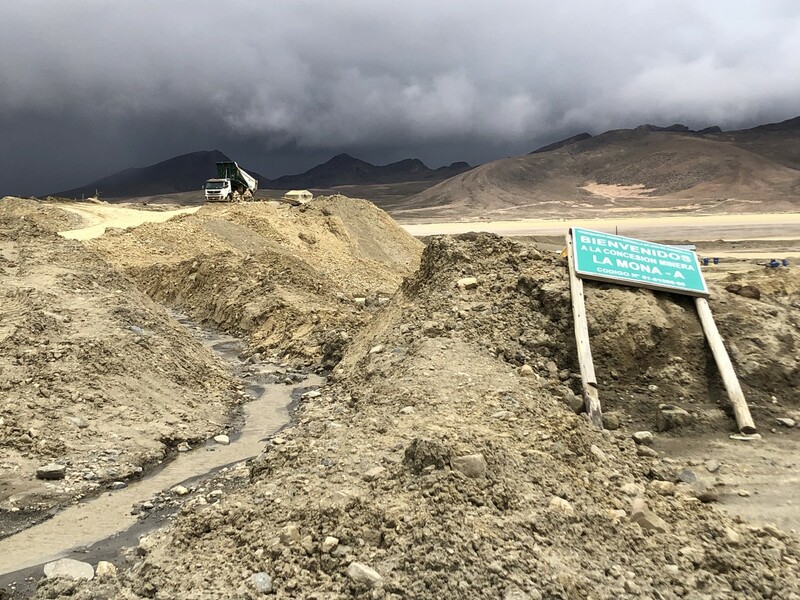 Primitive machinery is at work, just like on the Indonesian island of Kalimantan/Borneo; there, illegal mining is poisoning mighty rivers, here, it is leveling entire mountains, creating huge lakes, and moonscapes at some 5,000 meters of altitude. The guards are obviously very unhappy about our presence. Still, I manage to film and photograph, and then we drive even further up. I have seen a lot, on all the continents, but La Rinconada is truly ‘unique’. 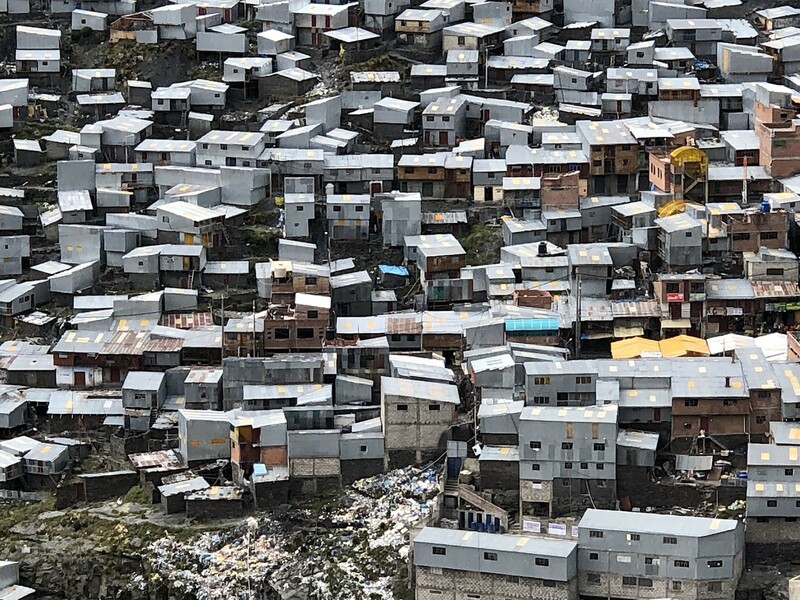 Mountains and valleys are dotted with metal shacks, with makeshift structures. The filth is everywhere. There is no water supply. Electricity is scarce. 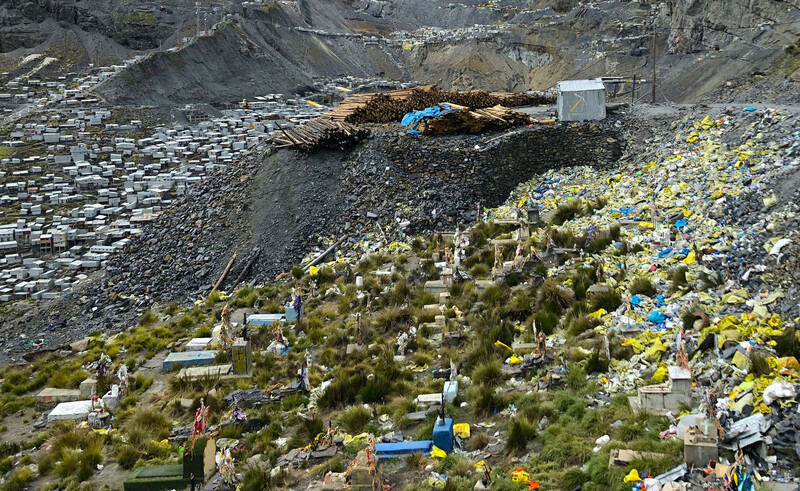 Garbage even covers the humble graves of a local cemetery. In the main square, heavy drinking is in progress. It is dangerous to photograph here. I hide; use zoom. Two plastered miners are lying on their stomachs, and someone is throwing food into their open mouths, as if it was feeding time in a zoo. Prostitution is rampant. Children are doing odd jobs. 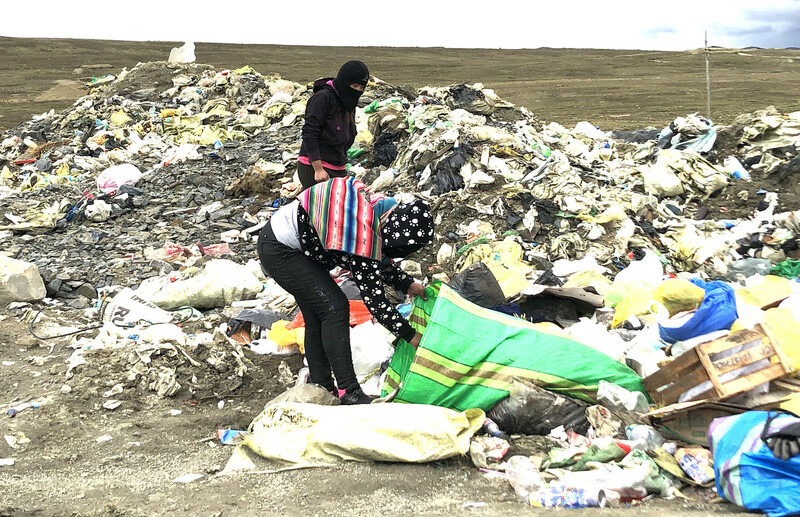 At one of the garbage dumps, I ask two young girls about their age. “25,” comes the ready answer. I guess 15, at most. But their faces are covered. “How dangerous is it here?” I ask one of the miners. Do they blame capitalism, the extreme savage pro-market system, adopted by their country? “It’s life,” I hear the same fatalistic reply. Do they know about Bolivia; about the great changes just across the border? Do they know that some 30 kilometers away from here, ‘as the condor flies’, on the Bolivian side, there is the pristine national reserve? Some know that it is much better ‘there’, in Bolivia, now. But they do not associate it with socialism or with the independent and pro-people policies of President Evo Morales. And they know very little about Venezuela. All they know is that they were barely surviving on Altiplano, and that they are fighting for their lives, here, in La Rinconada. Like in Indonesia, another savage pro-Western capitalist regime, people here are too preoccupied with their immediate essential problems; they cannot be bothered with ‘abstract’ thoughts about the environment, or lawlessness. The altitude is hitting me hard. 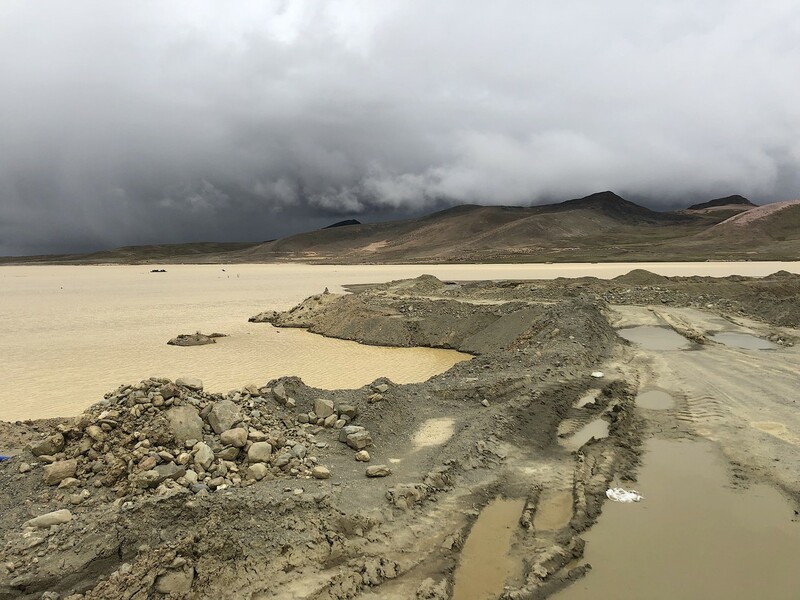 4,000 in Puno is bad; over 5,000 here is fatal. I am being held by two people as I film on the edge of a ravine, in order not to fall down. Somehow, in a very twisted way, I acknowledge that the vistas around me are beautiful, stunning. I am impressed. Impressed by the ability of human beings to survive under almost any conditions. Virtually all of this is illegal. But hundreds of millions are made, and washed. People gain nothing; almost nothing. 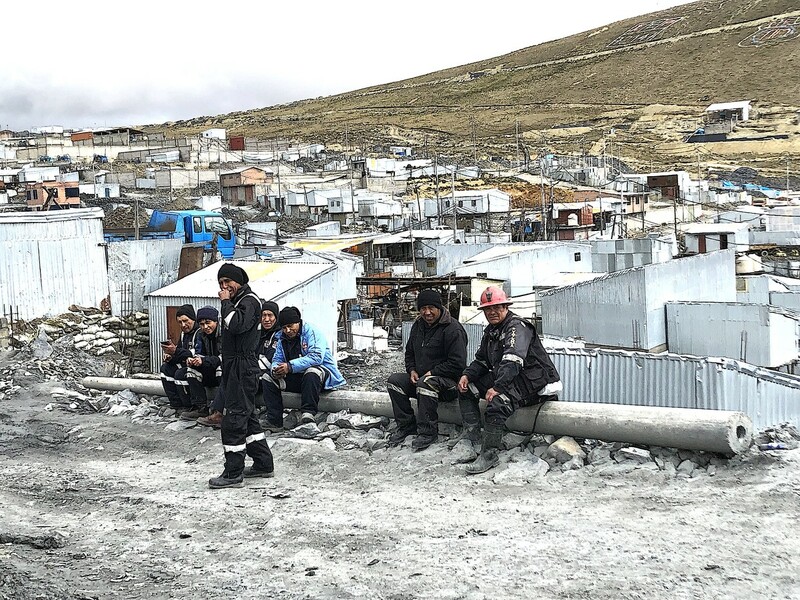 A miner makes 800 to 1,000 soles (roughly $250 to $300) per month. Private companies and corrupt government gain billions. Once again, Latin America is getting poorer. But the West is not pushing for ‘regime change’ in Peru, or in Paraguay, or Brazil. This is how it is supposed to be; this is how Washington likes it. “It is like a war…” I utter. “It is a war,” he confirms. But almost nobody comes here to report and to investigate. 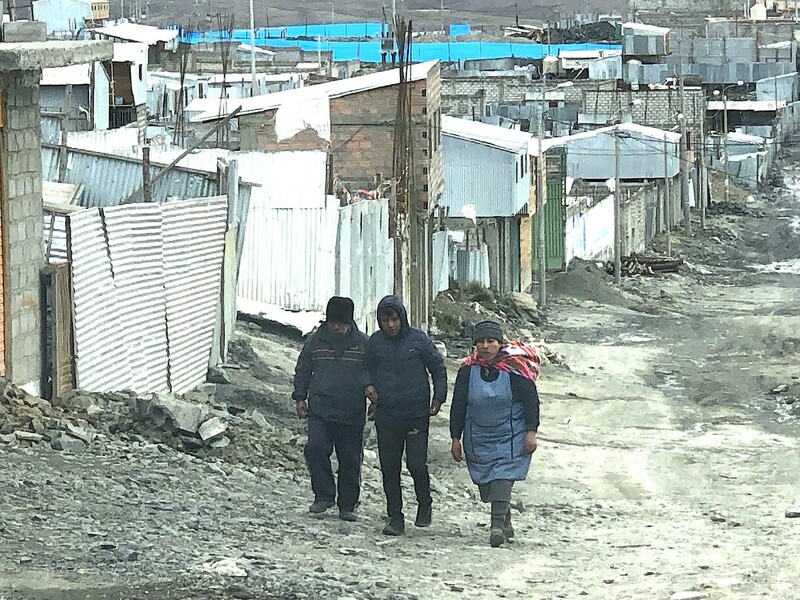 The life of a poor Peruvian person is worth nothing; nothing at all. I film, I document … It is all that I can do for them. And for Bolivia, for Venezuela. While I work, I feel that hell is near, it is here. It is not abstract, religious: it is real. But it could, it should be stopped.